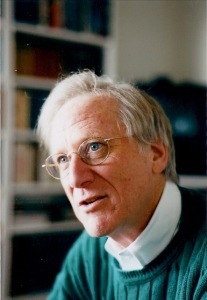 Harvey is the author of “Psychiatry and The CIA: Victims of Mind Control” (APA Press, 1990) and co-editor of “My Neighbor, My Enemy: Justice and Community After Mass Atrocity” (Cambridge University Press, 2004). He was founding Co-editor of the International Journal of Transitional Justice. He has written articles on empathy, reconciliation, social reconstruction, history and identity, and the limits of justice. He has served as Vice-President of Jewish Family and Community Services, East Bay, on the boards of the Jacob and Valeria Langeloth Foundation, a New York-based health foundation, Survivors International (a torture treatment program), and Peninsula Temple Beth El. He has consulted widely at the national and international level.